[InsightIDR Demo] Go From Compromise to Containment – Fast. [InsightIDR On-Demand Demo] Go From Compromise to Containment - Fast. WATCH THIS ON-DEMAND DEMO TODAY! Rapid7 InsightIDR delivers trust and confidence: you can trust that any suspicious behavior is being detected, and have confidence that with the full context, you can quickly remediate. 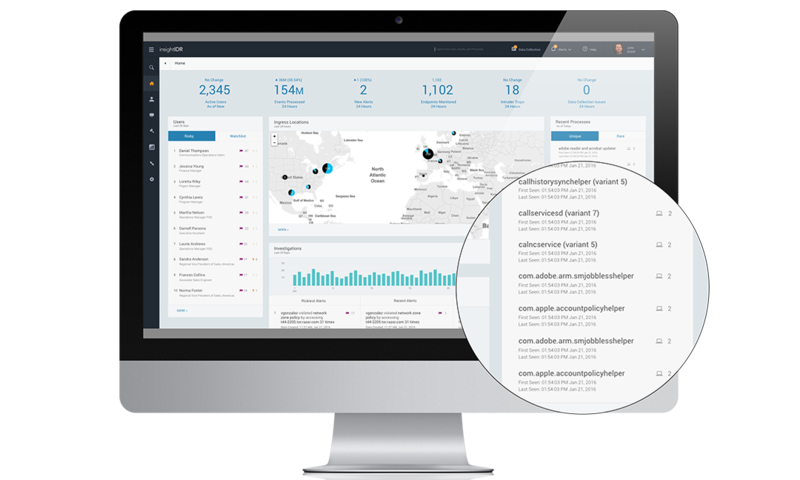 Developed side-by-side with incident response teams, InsightIDR eliminates data complexity, reduces alert fatigue, and makes analytics accessible to all. You see only what you need to see – from endpoint to cloud. By integrating with your existing network & security stack, InsightIDR correlates the millions of events your organization generates daily to the exact users and assets behind them. Along with custom included intruder traps, you’ll automatically detect the top attack vectors behind breaches, including compromised credentials, malware, and phishing. Combined with a fully searchable data set and endpoint interrogation, InsightIDR directly addresses the gaps found in most of today’s detection technologies, including SIEM and IPS. Cut Through the Noise to Detect Attacks- Limit false positives and days' worth of work for your security professionals. End the Drudgery of Security Data Management - Extend data collection and detection to remote endpoints, as well as popular cloud applications such as Amazon Web Services, Box, Microsoft Office 365, Salesforce, Okta, and other leading business cloud apps. By integrating with your existing network & security stack, InsightIDR leverages user behavior analytics to correlate the millions of events your organization generates daily to the exact users and assets behind them. Along with custom included intruder traps, you’ll automatically detect the top attack vectors behind breaches, including compromised credentials, malware, and phishing. Combined with a fully searchable data set and endpoint interrogation, InsightIDR directly addresses the gaps found in most of today’s detection technologies, including SIEM and IPS.